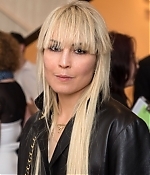 With lots of new Noomi appearances these days, hundreds of new pictures have been added to the gallery. Besides the recent New York premiere for “The Drop” and the Toronto Film Festival this weekend, Noomi has also attended a Meet the Filmmakers panel by Apple Store SoHo and has taped an interview on Good Morning America with Tom Hardy (which will probably air tomorrow). For a complete list, check the albums below the previews. None of my recent updates would have been complete if it wasn’t for the generous support of Lindsey, Claudia and Gerline. Thanks a lot for your wonderful contributions. Frederik September 09, 2014 Comment? The New York premiere for “The Drop” was held yesterday, and Tom Hardy and Noomi Rapace were in attendance to promote the film’s release. Over 100 pictures from the premiere have been added to the photo gallery. Many thanks to Lindsey for contributing some of them. Frederik September 07, 2014 Comment? Lots of additional pictures from the Toronto International Film Festival have been added, including new batches for premiere and after-party for “The Drop”. Noomi (who has her eyebrows back) has attended various other events yesterday, including a press conference and photocall for “The Drop”, as well as parties by Warner Bros. and the Hollywood Foreign Press Association. Once again, many thanks to the amazing Lindsey for submitting a great deal of these new images. For a complete overview, have a look at the previews and list below. Frederik September 06, 2014 Comment? Yesterday, “The Drop” world-premiered at the Toronto International Film Festival. 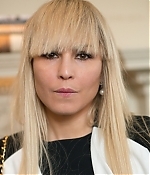 Noomi Rapace has been present to promote the film, alongside co-stars Tom Hardy and Matthias Schoenarts. Over 100 pictures have been added to the photo gallery. In case you wonder if Noomi left her eyebrows in Sweden, check the full size versions of the images – everything seems to be still there :-) Many thanks to Lindsey for contributing a great bunch of pictures. Enjoy! Noomi has attended the Warners and GQ Summer Party in London last week and the Bella Freud Parfum Fragrance Launch Party yesterday. Pictures from both events have been added to the photo gallery. 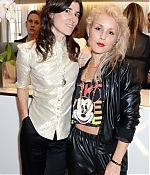 Yesterday, Noomi has attended two London fashion shows: Roland Mouret’s Resort 2015 as well as the RCA Graduate Fashion Show. Pictures from both events have been added to the gallery, alongside pictures from the H&M Conscious Collection Dinner from this March, which was shomehow not added to the gallery back then :-) Enjoy the new additions.